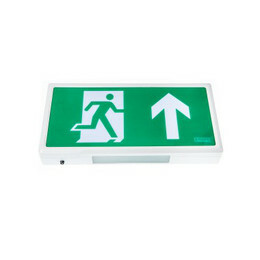 The LED Exit Sign from Alpine™ utilises LED technology for low-cost, high output, emergency illumination. 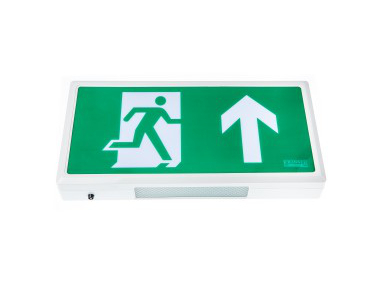 In white polycarbonate it comes complete with Arrow Up legend. An optional remote control facilitates testing. Light will test for two pre-set periods. Low running cost (1.9W LED equivalent to 8W uorescent). Prismatic di user on underside to illuminate door exit. Incorporates 3.6V 1.5Ah NiCd battery. Additional pictograms available to fit in with your existing scheme. Optional remote control facilitates easy testing.